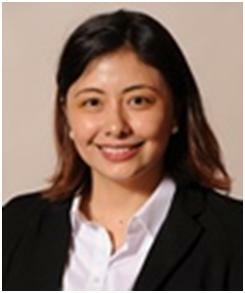 Ms. Arianne Reyes holds both a Juris Doctor Degree from University of the Philippines College of Law and a Master of Law Degree from New York University School of Law. She currently works as a consultant for the Department of Transportation and Communication in Mandaluyong. She has also served as the Research Editor of the Southeast Asia Tobacco Control Alliance, been a consultant at the Senate of the Philippines, and an attorney with Office of the President of the Republic of the Philippines. The Challenge: In the Philippines, there is a gap between existing legislation involving children in conflict with the law and its actual enforcement and/or handling. Based on a recent study, law enforcement officials are often unaware or have limited understanding of their role in the prevention, rehabilitation and reintegration of children in conflict with the law. Production of a short instructional video and material that illustrates the needs of children in conflict with the law. Training of social workers and paralegals who would implement what they have learned when handling cases involving children and youth. A social media campaign to raise awareness and increase outreach. Update: Project J is currently underway. To date, we have set up our social media (Facebook) account with over 4,500 likes/page followers. We engage with our viewers through relevant news articles and graphics. Construction of the website is ongoing and we are compiling relevant material to publish on the site in the future. We have established contact with the Office of Senator Kiko Pangilinan, the proponent of the Juvenile Justice Welfare Act, as well as the Juvenile Justice Welfare Council (JJWC) under the Philippine Department of Social Welfare and Development. This is the agency primarily working to implement the Juvenile Justice Welfare Act. We have interviewed two psychologists and visited Davao City, which is considered a model Bahay Pag-asa (Youth care facility). We have likewise been invited to speak to high school students on the Juvenile Justice Welfare Act. I. We are still coordinating with the JJWC with regards to the schedule for the workshop, as they are currently occupied with the pending proposal in congress to lower the minimum age of criminal responsbility. We are gathering material for the video we will produce and have contacted individuals interested in the cause to help out. We held a meeting with volunteers to talk about issues as well as conducted an (informal) film viewing of Bunso, a locally-produced film that was instrumental in the passage of the Juvenile Justice Welfare Act. In the course of our groundwork, we established that it is best to coordinate with JJWC instead of other agencies (but we will try to get them invited to the workshop). Moreover, the new Congress began its session a few months ago and one of the legislative priorities is to lower the minimum age of criminal responsibility from 15 to 9 (with support from the executive branch) so civil society organizations and JJWC are occupied with this. Our involvement in countering this proposal has been limited to our social media site considering our limitations, but JJWC has asked our help to intensify the media advocacy against this measure. Update January, 2016: Arianne and her team are sustaining communications with the psychologists and juvenile justice welfare advocates they have met. In addition, they have established a pool of volunteers who feel strongly about juvenile justice and who are willing to lend their time and effort to raise awareness. Arianne’s team are also in the final stages of developing a juvenile justice website with resources and materials. The purpose of this site is to be a one stop shop for all relevant resources on the Philippines’ juvenile justice welfare act and a starting point for advocates and researchers.